In this video, Ruth Merttens explains how written addition is taught in Abacus in Key Stage 2. 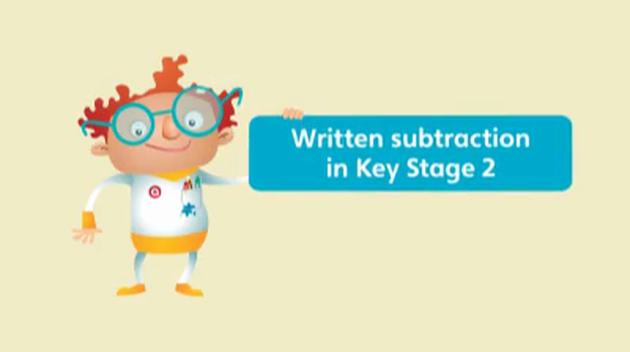 In this video, Ruth Merttens explains how written subtraction is taught in Abacus in Key Stage 2. In this video, Ruth Merttens explains how written multiplication is taught in Abacus in Key Stage 2. In this video, Ruth Merttens explains how written division is taught in Abacus in Key Stage 2. In this video, Ruth Merttens explains how mental addition is taught in Abacus in Key Stage 2. In this video, Ruth Merttens explains how mental subtraction is taught in Abacus in Key Stage 2. In this video, Ruth Merttens explains how mental multiplication is taught in Abacus in Key Stage 2. In this video, Ruth Merttens explains how mental division is taught in Abacus in Key Stage 2.